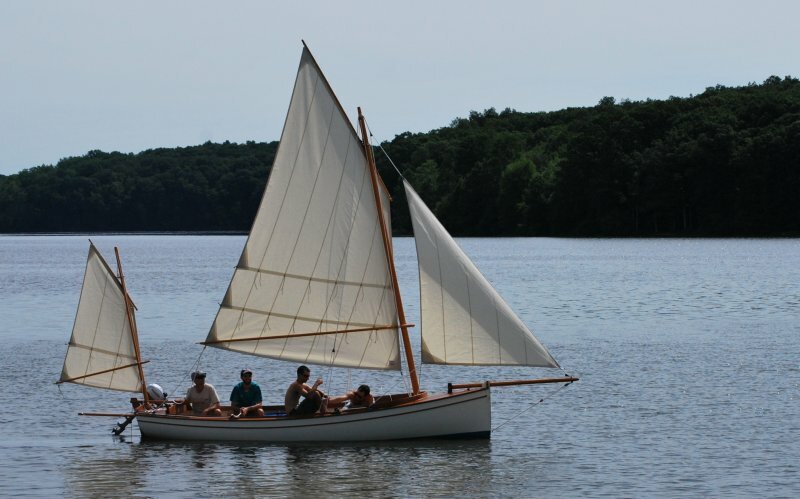 An 18′ Lug rigged yawl build which took nearly 1500 hours over 4 1/2 years. The hull is strip planked with Western Red Cedar. Structural parts and interior furniture are Philippine Mahogany. Spars are Sitka Spruce. 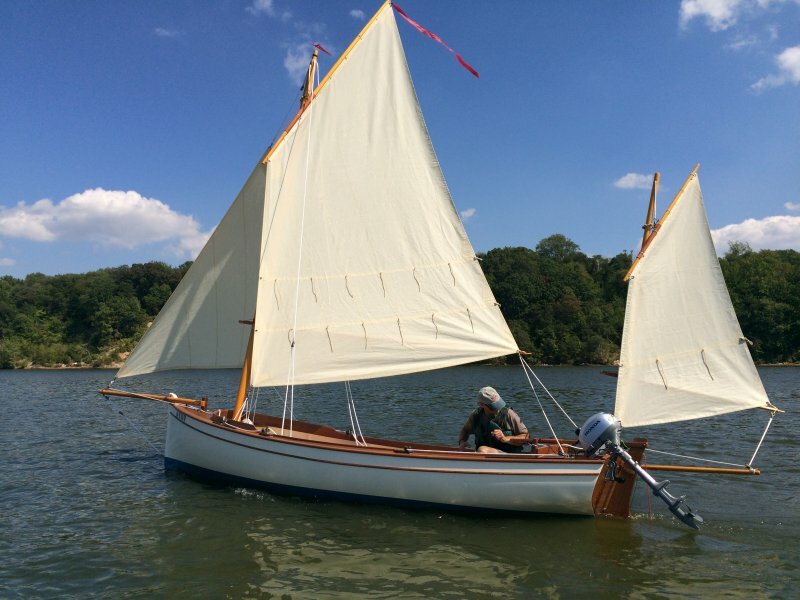 I was looking for a boat with room for passengers and plenty of options for reducing sail. 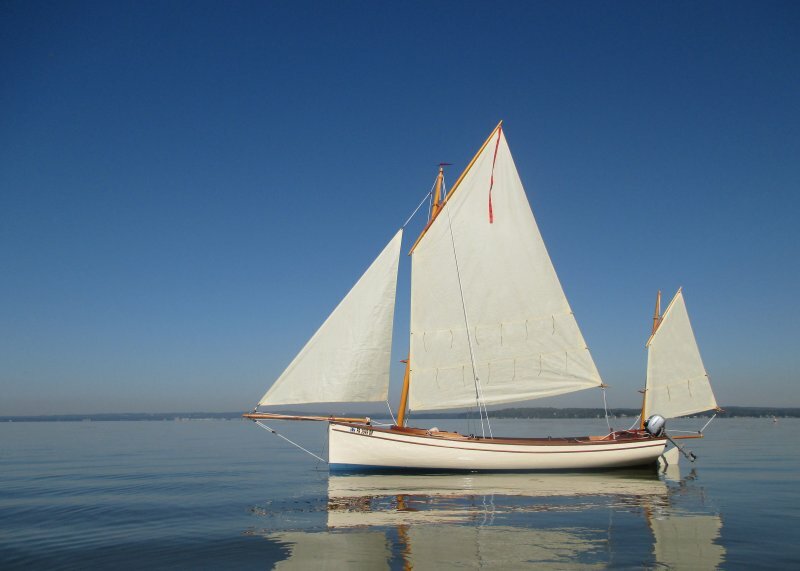 Mainly will sail on the Chesapeake Bay, launching from Red Point Beach in Maryland.